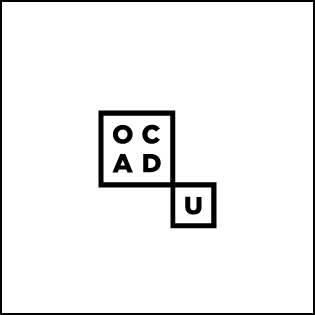 The best presentation will go on to represent OCAD University at the provincial finals to be hosted at York University on Thursday, April 19th, 2018. The OCAD U 3MT Competition will be held on Tuesday, March 6th, 2018 beginning at 1PM Room 322 at 230 Richmond St. W.
Click here -à 2018 APPLY NOW! 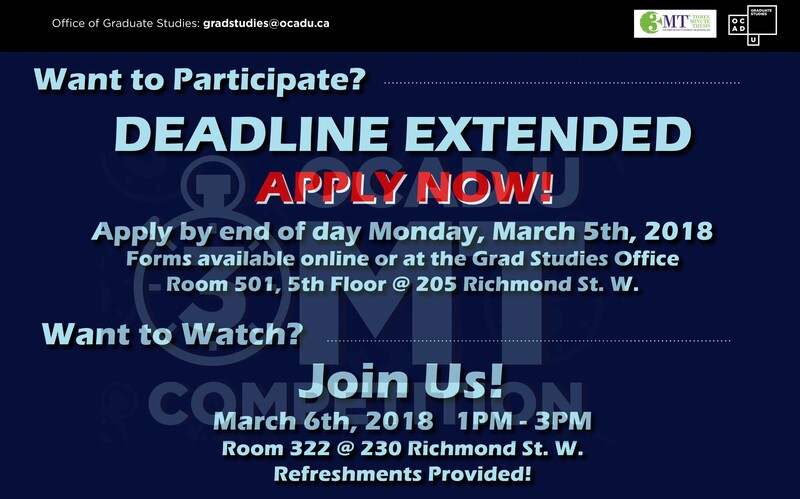 OCAD U 3MT March 6th- APPLY NOW, DEADLINE EXTENDED until March 5th!